At my firm, The Law Office of Joe Bisbiglia, I am devoted to providing aggressive and customized defense for individuals facing charges for DUI accusations. My name is Joe Bisbiglia, and when you work with my criminal defense firm , you can have confidence knowing that your case is in qualified hands. I understand how much is at stake for a DUI offense, and I always go above and beyond to ensure that the rights and futures of my clients are protected. As a Santa Rosa DUI lawyer, I know how intimidating and overwhelming this time can be, which is why I am here to provide the tough defense you need. Contact my firm today to get the DUI defense you deserve! Whether this is your first offense or you have been charged with DUI in the past, I can provide the strategic defense you need. Possible consequences for a DUI conviction could include heavy fines, jail time, the suspension of your driver’s license, and a permanent mark on your criminal record. If you have been arrested for DUI in Santa Rosa, you could be facing serious consequences and repercussions. If you are taking any medication or have medical disabilities or issues, I can also use these to strengthen your defense. No matter what type of charges you are facing, be sure to schedule a consultation with my firm! 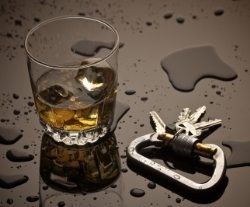 In California, driving under the influence (DUI) is covered under Vehicle Code Section 23152-23229.1. Under §23152, it is unlawful for a person to drive a vehicle with a blood alcohol concentration (BAC) of 0.08% or higher. For commercial drivers, it is illegal to drive with a BAC of 0.04% and under California’s zero tolerance law, it is unlawful for drivers under the age of 21 to drive with 0.01% or more BAC. These penalties are very different if you are facing your second, third, or fourth DUI conviction. 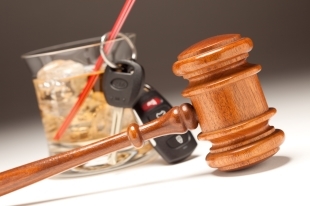 As a Santa Rosa DUI attorney, I can explain what penalties you could face for multiple DUIs. You do not have to face your charges alone! Call my firm today for the representation you deserve. Get a Phone Consultation — Call (707) 595-5974! When it comes to your future, don’t leave anything to chance. Call my firm today if you want a tenacious and relentless Santa Rosa DUI lawyer building your DUI defense! I have experience handling thousands of criminal cases and am not afraid to take on tough prosecution on your behalf. In addition, if I have reason to believe that the law enforcement officer was in the wrong, I will not hesitate to challenge your arrest. Regardless if it’s your first offense or if you have been charged with multiple DUIs, you deserve to have a lawyer on your side that genuinely cares about your future and well-being. Should you choose to hire me, you can be confident that I will put my best foot forward to ensure you get the results you need. For more information about DUI or retaining my representation, do not hesitate to give my firm a call today. Ensure that your license and driving record are protected! Contact my firm today to get started with your case evaluation.